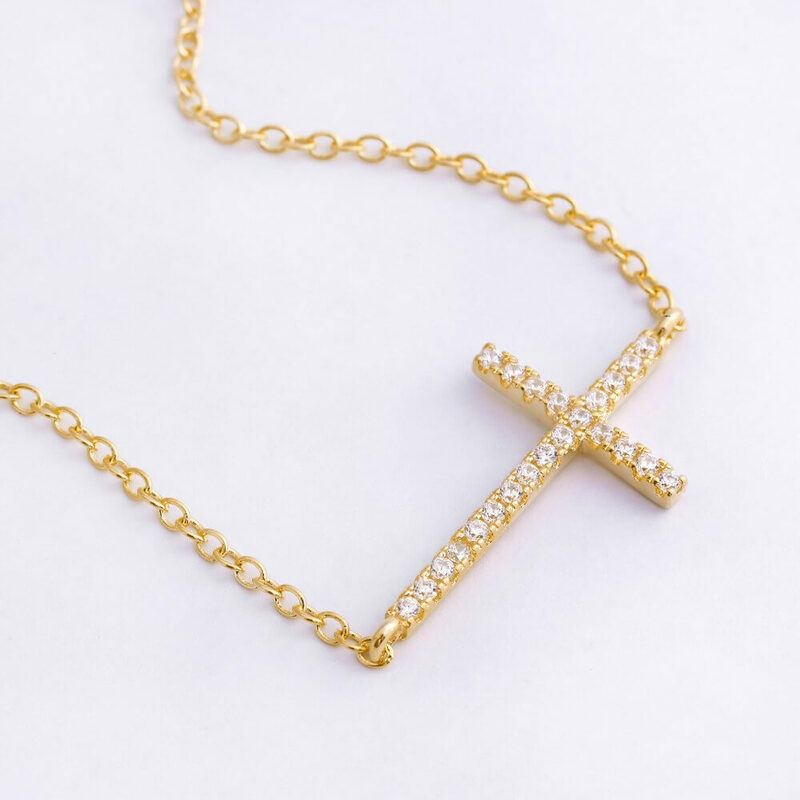 Shop the latest cross jewelry that is made with several cubic zirconia stones and lusters brilliantly on a gold plated tone. Guaranteed authenticity and beautifully crafted in genuine 18K gold plated tone. Glimmers with cubic zirconia gemstones.